After helping discover the long-elusive “God particle,” researchers in UTA’s Center of Excellence in High Energy Physics are now tackling new challenges like dark matter and proving the Big Bang. 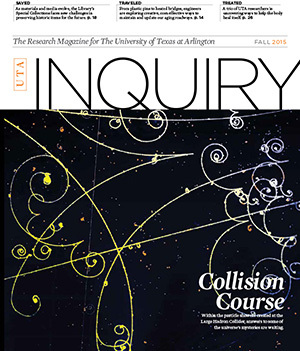 Get all the exciting details in the latest issue of Inquiry, UTA’s research magazine. You also can read about how civil engineers are devising cost-effective ways to preserve highways and bridges and how researchers are using the body’s own protective abilities to repair damaged arteries, treat osteoarthritis, and make prosthetics more comfortable. The fall 2015 issue includes stories about a new study on the harmful effects of after-hours work emails, UTA’s collaboration with NASA to send a human to Mars, and how record companies are inducing panic about music piracy to exploit artists. Smooth moves: Basketball fans will find freebies, entertainment, and action by junior guard Drew Charles and other Mavericks at College Park Center during the holidays. Enjoy some court action during the holiday season with basketball games and giveaways at College Park Center. Bring a donation for a canned food drive at the Lady Mav's game Tuesday, Nov. 24, against Seton Hall and the men's game Wednesday, Nov. 25, against Grambling State. Also at Tuesday's game, the first 250 fans receive a free MavCity shirt and bucket drummer Peter Rabbit performs at halftime. Team autographs are available after the Lady Mavs' game against Missouri Vally on Saturday, Nov. 28, and the men's game against North Texas on Thursday, Dec. 3. The men's game also includes a Texas Trust Credit Union T-shirt giveaway. Have your smartphone ready for social media contests throughout the game Wednesday, Dec. 8, when the men's team takes on Bradley. The first 250 fans garner #MavCity shirts. Be among the first 200 fans to nab a UTA stocking for Santa to fill with goodies when the Lady Mavs face Western Kentucky on Sunday, Dec. 13, and Maverick men take on Sul Ross on Monday, Dec. 21. All games include a Marverick basketball T-shirt toss. Single game tickets are $7-20. Take advantage of the Faculty/Staff All-Sports Pass for $99 and catch all home athletic competitions. For these and other ticket options, go to utatickets.com. E.H. Hereford University Center—The center will close at 7 p.m. Wednesday and open 2-11 p.m. Sunday. Campus Recreation—For the Maverick Activities Center and pool hours, see the Campus Recreation schedule online. Libraries—Libraries are closed on Thursday. Check the library schedule for hours on other days. Planetarium—Go online for the Planetarium schedule. Metro Arlington Xpress—The MAX will not run Thursday-Friday. 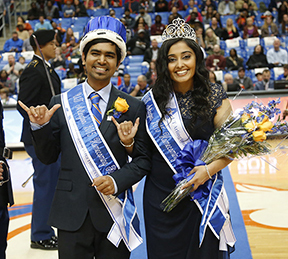 In case you missed it, this year's Homecoming video featured Homecoming king and queen Mahesh Biyyala, left, and Harjot Singh, and the rest of the 2015 Homecoming court lip-synching to Demi Lovato. Watch the video. Adopt an angel by Tuesday, Nov. 24, in the Leadership Center in Suite B 160 of the lower level of the E.H. Hereford University Center. Drop off those gifts 9 a.m.-4 p.m. weekdays by Monday, Nov. 30. For questions, call the Leadership Center at 817-272-9220. 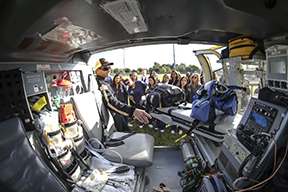 Nursing students learned about taking their skills airborne at the fall disaster drill when they examined equipment on a medical helicopter. The exercise helps students experience working with local first responders in a crisis. The nominations alternate between engineering and science disciplines and from the liberal arts and professional disciplines. For the 2016 award, nominations are being accepted from the College of Architecture, Planning and Public Affairs; College of Business; College of Liberal Arts; College of Nursing and Health Innovation; College of Education; and the School of Social Work. Registered student organizations are encouraged to host an information table at New Maverick Orientation's Involvement Fairs. The next fair is Saturday, Dec. 5. Regular registration ends for winter intersession and spring 2016 semester. Women’s Basketball Mavericks vs. Seton Hall. Tickets $3 with student ID; $7-20. 7 p.m., College Park Center. Also, vs. Missouri Valley College, Saturday, Nov. 28, Recover from Black Friday, Post-Game Autographs; vs. Western Kentucky, Holiday Hoops, Sunday, Dec. 13. Athletics. Men's Basketball Mavericks vs. Grambling State. Tickets $7-20. 7 p.m., College Park Center. Also, vs. North Texas. Orange Out, Thursday, Dec. 3; vs. Bradley, 7 p.m. Tuesday, Dec. 8. Athletics. Honors Recital Free. Noon, Irons Recital Hall, Fine Arts Building. Music. World AIDS Day 10 a.m.–2 p.m., Palo Duro Lounge, E.H. Hereford University Center. Health Services. UTA Jazz Concert Tickets $6-9. 7:30 p.m. Rosebud Theatre, E.H. Hereford University Center. Music. UTA Choir Concert Tickets $6-9. 7:30 p.m. Rosebud Theatre, E.H. Hereford University Center. Music. SHAC Spa Retreat 10 a.m.–2 p.m., Palo Duro Lounge, E. H. Hereford University Center. Health Services. Flute Studio Recital Free. 7:30 p.m., Irons Recital Hall, Fine Arts Building. Music. 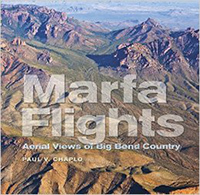 Friends of the Library Paul Chaplo, Marfa Flights: Aerial Views of Big Bend Country. 7:30 p.m., sixth floor parlor, Central Library. Friends of the Library. Jim Hayes Invitational Wheelchair Basketball Tournament Free. All day, Maverick Activities Center, Physical Education Building. Movin' Mavs. Men’s Basketball Mavericks vs. North Texas. Orange Out. Tickets $3 with student ID; $7-20. vs. Sul Ross State, Holiday Hoops, Monday, Dec. 21; vs. Georgia State, Family Night, camper reunion, indoor tailgate, Wednesday, Dec. 30; vs. Georgia Southern, Saturday, Jan. 2. Athletics. Arlington Technology Association Chengkai Li, right, professor of computer science and engineering, describes his team’s achievements in creating ClaimBuster, a process providing near-real-time evaluations of public statements, and his intent to create a completely automated fact-checking machine that detects and verifies or disputes claims. Light breakfast provided. RSVP. Free. 7-8 a.m., Room 100, Nedderman Hall. Arlington Technology Association. Reach for it: Junior forward Faith Pope aims for a basket at the Mavericks game against Fordham at College Park Center. The men's basketball team returns home after a three-game road trip. The Mavericks play Grambling State at 7 p.m. Wednesday, Nov. 25, at College Park Center. 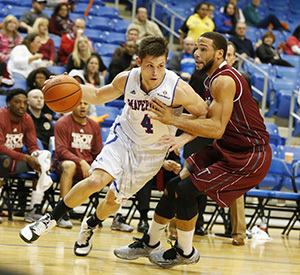 • The men’s basketball team beat Memphis 68-64 in a Monday night road game, bringing their record to 3-1. The men won 73-68 over Ohio State on Friday. • UTA's women's basketball team hosted the first consolation round for the Women's National Invitational Tournament on Friday-Saturday at College Park Center. The Lady Mavs won a close 56-54 game over Jacksonville on Friday but fell 63-57 to McNeese State on Saturday. 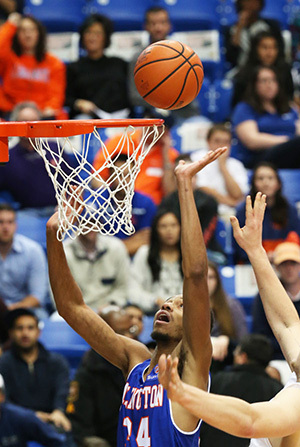 The team plays Seton Hall at 7 p.m. Tuesday, Nov. 24, at College Park Center. • The volleyball team, ranked fourth seed going into the Sun Belt Conference Championships, lost 3-0 to fifth-seed Arkansas-Little Rock on Friday. Senior hitter Stacey Koch was named to the All Sun Belt Conference second team. • The softball program announced a highly competitive 2016 schedule highlighted by home games against Arizona and Texas at Allan Saxe Field. Upcoming intramural sports deadlines are 3-on-3 wheelchair basketball, Tuesday, Dec. 8; college football bowl pick 'em, Sunday, Dec. 13; badminton, Sunday, Dec. 20; billiards, Wednesday, Jan. 6; racquetball, Tuesday, Jan. 12; and table tennis, Thursday, Jan. 14.